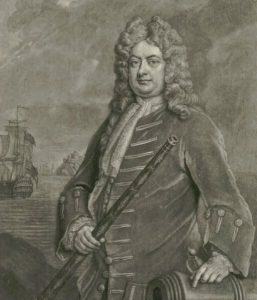 1) (bart., extinct; Admiral Sir Thomas Masterman Hardy, G.C.B., was captain of the “Victory,” at Trafalgar, and was created a bart. 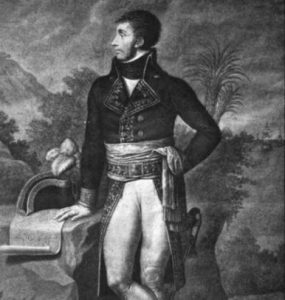 1806, d. s. p. m.). Pean on a chev. betw. three escallops ar. as many dragons’ heads ppr. Crest—Out of a naval crown or, a dragon’s head, as in the arms. 2) (Toller Wilmer, co. Dorset; Hatchment, Sir Thomas Hardy, Knt., 1732). Sa. on a chev. betw. three escallops or, as many dragons’ heads erased of the first. Crest—A dexter arm embowed in armour, holding in the hand ppr. a dragon’s head erased sa. 3) (London). Ar. on a bend engr. gu. a crescent betw. two leopards’ faces of the first, on a chief az. three catharine wheels or. Crest—An eagle’a head, bendy of four ar. and sa. betw. two wings, the dexter or, the sinister gu. in the beak a pansy flower ppr. stalked and leaved vert. 4) or Hardye – Same Arms. Crest—A heart within a fetterlock gu. 5) Sa. on a chev. erm. betw. three escallops ar. as many griffins’ heads erased of the field. Crest—An arm embowed in armour, gauntlet ppr. garnished or, holding a griffin’s head, as in the arms. 6) (Wetwang, co. York, 1665). Ar. a cross engr. az. betw. four boars pass. sa. Crest—A demi eagle ar. wings displ. gu. charged on the breast with two bendlets sa. in the beak a rose branch. 7) (Letheringsett Hall, co. Norfolk). Quarterly, 1st and 4th, per chev. ar. and or, in chief two bomb shells fired, and in base an eagle’s head erased ppr., for Hardy; 2nd and 3rd, per pale az. and gu. on a pile or, a lion ramp., for Cozens. Crests—1st, Hardy: A dexter arm embowed ppr. charged with a pellet betw. two chevronels or, and grasping an eagle’s head fesseways also ppr. ; 2nd, Cozens: A lion ramp. or, guttee de sang and fretty gu. Motto—Fear one. 8) (Guernsey). Ar. a chev. potent counter-potent or and sa. in middle chief point a crescent ar. on a chief of the first a lion pass. gu. Crest—An ostrich feather or. 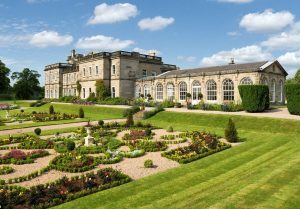 9) (Dunstall Hall, co. Stafford, bart.). 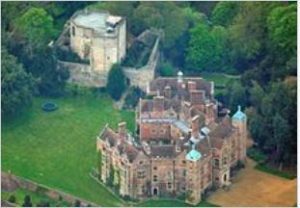 (Chilham Castle, co. Kent). (Hemsted Park, co. Kent). Ar. on a bend invected plain cotised gu. three catharine wheels or, on a chief of the second as many leopards’ faces of the third. Crest—A dexter arm embowed in armour ppr. garnished or, entwined by a branch of oak vert charged with two catharine wheels, the one above and the other below the elbow gu. the hand grasping a dragon’s head erased ppr. Motto—Arme de foi hardi. 10) Ar. on a bend gu. a leopard’s face betw. two crescents of the field, on a chief of the second three catharine wheels of the first. 11) (confirmed to Philip Dixon Hardy, Esq., of Greenfields, co. Dublin). Per pale gu. and az. on a chev. ar. betw. three griffins’ heads erased or, three escallops of the first. Crest—A griffin’s head erased or, charged with an escallop gu. Motto—Spes in Domino. 12) (Reg. Ulster’s Office). Ar. on a bend gu three catharine wheels or, on a chief gu. a crescent of the third betw. two leopards’ faces of the first. 13) (Gathorne-Hardy, Viscount Cranbrook). Quarterly, 1st and 4th, Hardy: Ar. on a bend, invected plain cottised gu. three Catherine wheels or, on a chief of the second as many leopards’ faces of the third; 2nd and 3rd, Gathorne, Per pale arg. and or, a bend compony az. and gu. betw. two pellets, each within an annulet sa. Crests: —1st, Hardy: A dexter arm embowed in armour ppr. garnished or, entwined by a branch of oak vert charged with two catherine wheels, the one above and the other below the elbow gu. the hand grasping a dragon’s head, erased ppr. ; 2nd, Gathorne; In front of a wolf’s head erased ar. a staff raguly fessewise or. Supporters—Two leopards guardant ppr. each gorged with a collar gu. therefrom pendent an escutcheon of the last charged with a Catherine wheel or. Motto—Arme de foi hardi. This is an English, Scottish, and French last name that developed as nickname for a brave or foolhardy person, deriving from the Middle English and Old French word hardi, meaning bold/courageous, which in turn derives from the Old Frankish word hardjan, and ultimately, from the Germanic/Teutonic word hard. In some cases, the name is also an Anglicized form of the Irish surname Mac Giolla Deacair, meaning “son of the hard lad”. One source asserts the name was first found in Lanarkshire, Scotland and in Guyenne, France. Eldson Coles Smith, in his 1956 book, “Dictionary of American Family Names” states the name may have referred to one who came from Hard’s Island in Lancashire. Some spelling variants or names with similar etymologies include Hardie (Scottish variant), Hardey, and Heardy. The last name Hardy ranks 374th in popularity in the United Status as of the 2000 Census. The name ranks particularly high in the following four states: Utah, Alabama, Georgia, and Mississippi. The surname Hardy frequency/commonness ranks as follows in the British Isles: England (215th), Scotland (823rd), Wales (297th), Ireland (1,380th) and Northern Ireland (754th). In England, it ranks highest in Nottinghamshire and Derbyshire. In Scotland, the surname ranks highest in Aberdeenshire. In Wales, it ranks highest in Anglesey. In Ireland, it ranks highest in county Louth. In Northern Ireland, it ranks highest in county Antrim. The name is also present throughout the remainder English speaking world: Canada (402nd), New Zealand (506th), Australia (308th), and South Africa (1,445th). Henry Brougham Guppy’s 1890 book Homes of Family Names in Great Britain states the following in regard to this last name: “This name has its principal home in the adjacent counties of Leicester, Rutland, Notts, Lincoln, and Derby. Its further distribution is mostly confined to the east coast counties from the Scottish border to the mouth of the Thames. We learn from the Hundred Rolls that six centuries ago, Hardi or Hardy was also an east country name, occurring then in the counties of Norfolk, Beds, Cambridge, Hunts, etc. Hardie is the Scottish form of the name, but it is neither a common nor a characteristic name in Scotland”. The earliest known documented bearer of this popular last name was William Hardi, who was listed in the Pipe Rolls of Yorkshire in 1194 AD. The Magni Rotuli Scaccarii Normanniae lists Roger, Hunfrid, Robert, and Nicholas between 1180-1195 AD. A William Le Hardy of Lincoln, England was documented in 1206 AD. The Hundred Rolls of 1273 AD, a census of Wales and England, known in Latin as Rotuli Hundredorum lists one bearer of this surname: Thomas Hardi. The Writs of Parliament document one Richard Hardy in 1367. The Poll Tax of Yorkshire lists one Thomas Hardy in 1367 AD. An early marriage involving this surname was John Hardy to Agnes Payce in 1563. Another early marriage was William Hardie to Margaret Bover in 1569 at St. Mary Somerset. Charles Hardy was an Esquire of Chilham Castle in Kent and Odsall House in Bradford. He married Catherine, daughter of James Orr of Hollywood House, and issue with her. He died in 1867. He had a son named Charles. 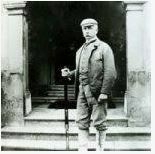 This son, Charles Stewart Hardy, Esquire of Chilham Castle, county Kent, England, was born in 1842. He was a Captain in the East Kent Yeomanry, a member of the 37th regiment, and a High Sheriff in 1874. In 1865, he married Fanny Alice, daughter of Matthew Bell of Bourne Park, and had three issue with her: Charles (born 1874), Violet Annis, and Mabel Ceylonia. He was the nephew of Sir Thomas Hard, Baronet, and Viscount Cranbrook. For a further lineage (and blazon of arms), see Hardy of Dunsall. The lineage or ancestry of this branch of the Hardy family tree traces back to Peter Cozens of Panxworth, Norfolk, England in present day United Kingdom (once called Great Britain) who died around 1738. His elder son was Jeremiah Cozens of Westrwick, county Norfolk, who was born in 1685. He married Elizabeth Bean, and had a son and daughter with her. 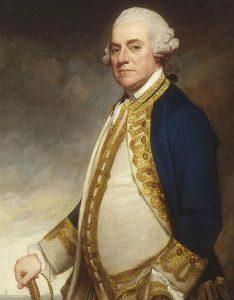 His son was also Jeremiah Cozens, of Westwick, who was born in 1734. In 1762, he married Emma Hubbard of Worstead, and had issue, including a son named Jeremiah. This son, Jeremiah Cozens, Esquire of Sprowston, who married (secondly), Mary Ann, daughter of William Hardy of Letheringsett. In 1842, he assumed by sign manual, the additional surname and arms of Hardy. He had a son named William Hardy Cozens-Hard who was born in 1806. He was an Esquire of Letheringsett Hall, county Norfolk, who was also a Justice of the Peace. In 1830, he married Sarah, daughter of Thomas Theobald, Esquire of Norwich, and had nine issue with her as follows: 1) Clement William Hard (born 1833, married Helen Ferneley, daughter of T.C. Wrigley of Woodfield Lodge, had four issue), 2) Herbert Hardy (Barrister-at-Law, married Maria, daughter of T. Hepburn of Clapham Common, had four issue), 3) Theobald (married Sarah Anna, daughter of James Wrigley of Field House, had four issue), 4) Sydney, 5) Caroline (married J.J. Colman of Carrow House, had two sons and four daughters), 6) Laura Elizabeth, 7) Cecilia Emma (married J.E. Williams of Ashleigh, Huddersfield, had two issue), 8) Agnes, and 9) Kathleen. The Hardy family crest is blazoned as follows: Quarterly; 1st and 4th, per chevron argent and or, in chief two bombshells fired, and in base an eagle’s head erased proper, for Hardy, 2nd and 3rd, per pale azure and gules, on a pile or, a lion rampant, for Cozens. Crests: 1st, A dexter arm embowed proper charged with a pellet between two chevronels or, 2nd, A lion rampant or, guttee de sang and fretty gules, for Cozens. Motto: Fear one. This branch of the family tree was seated at Letheringsett Hall, Holt, Norfolk. The lineage of this branch of the family traces back to John Hard of Dunstall Hall, county Stafford, bencher of the Inner Temple, son of John Hardy of Bradford in York (died 1806) and Annis Atkinson, who represented Bradford in Parliament from 1833-1847. 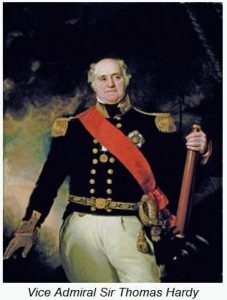 In 1804, he married Isabel, daughter of Richard Gathorne of Kirkby Lonsdale, and had several issue including: 1) Sir John (1st Baronet), 2) Charles (Chilham Castle in Kent and Odsall House in York, born in 1813, was Justice of the Peace and Deputy Lieutenant, married Catherine, daughter of James Orr of Hollywood House, county Down, Northern Ireland, had issue), 3) Gathorne (created Earl of Cranbrook), 4) Annis Elizabeth (married John Wood of Thedden Grange), 4) Emily (married Reverend Francis Hewson of Killarney, had issue), and 5) Eliza (married Reverend Charles Welfitt Blathwayt, Vicar of Chelmarsh). His eldest son, John, of Dunstall Hall, was a Justice of the Peace, Deputy Lieutenant, High Sheriff, and a Member of Parliament for Midhurst, Darthmouth, and South Warwickshire. He was born in 1809 and was created a Baronet in 1876. In 1846, he married Laura, daughter of William Holhech of Farnhorough, and had four sons with her as follows: 1) Sir Reginald (2nd Baronet), 2) Henry John (Lieutenant Rifle Brigade, died at Natal in 1879), 3) Gerald Holbech (of Foston Hall, Derby, was a Justice of the Peace, Deputy Lieutenant, High Sheriff, graduate of Oxford, Barrister at Law, and a Major in the Staffordshire Imperial Yeomanry), 4) Laurence (P.C. of Sandling Park, Hythe, county Kent, born in 1854, was a Justice of the Peace, Deputy Lieutenant, High Sheriff, Oxford graduate, and member of the House of Commons, married Evelyn Emily, daughter of John Gathorne Wood of Thedden Grange, had issue named Arthur Evelyn, Maurice John, and Edith Annis). He died in 1888 and was succeeded by his eldest son, Sir Reginald Hardy, 2nd Baronet, a Barrister-at-law of the Inner Temple in 1873, Justice of the Peace, Deputy Lieutenant, High Sheriff, Colonel and Lieutenant-Colonel of the Staffordshire Imperial Yeomanry. He was born in 1848. 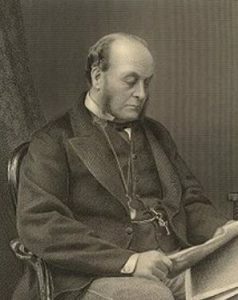 In 1876, he married Lucy Marion, daughter of Captain John N. Gladstone of the Royal Navy, and had the following issue with her: 1) Sir Bertram (3rd Baronet), 2) Eustace, 3) Leonard Henry (educated at Eton and Oxford, Lieutenant Colonel of the Life Guards, Justice of the Peace, High Sheriff, served in World War I, married Diana O’Carroll), 4) Eric John (D.S.O., Major of the Royal Scots Greys, Justice of the Peace, Deputy Lieutenant, served in World War I), and 5) Una (Holland House, Barton-under-Needwood, Burton-on-Trent). He died in 1938 and was succeeded by his eldest son. Sir Bertram Hardy, 3rd Baronet of Dunstall Hall, county Stafford, England, was born in 1877 and succeeded his father in 1938. He was High Sheriff in 1925 and was a Major in the Staffordshire Yeomanry. He was educated at Eton and Trinity Hall, Cambridge. In 1899, he married Violet Agnes Evelyn, daughter of Honorable Sir Edward Chandos Leigh, and had two issue with her: 1) Rupert John (Major Life Guards, served in World War II, married Diana Joan Allsopp, daughter of Baron Hindlip, had a son named Richard Charles Chandos born in 1945 and a daughter named Rosemary Diana born in 1831) and 2) Hugh Bertram (served in Staffordshire Yeomanry from 1930-1941, was a Major of the 3rd Hussars, married Joan Stella Guthrie, had son named Audrey Elizabeth Una born in 1936). The Hardy coat of arms is blazoned in the medieval European art of heraldry as follows: Argent, on a he(a? )nd invected, plain cotised, gules, three Catharine wheels or, on a chief of the second, as many leopards’ faces of the third. Crests: A dexter arm embowed in armour proper, garnished or, entwined by a branch of oak vert, charged with two Catharine wheels, the one above and the other below the elbow gules, the hand grasping a dragon’s head, erased, proper. Motto: Arme de foi hardi. 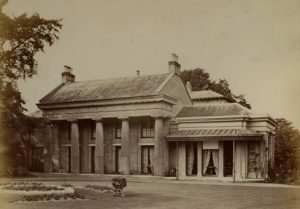 They were seated at Dunstall Hall, near Burton-on-Trent. John Hardy Sr. was born in 1419. He had a son named John. John de Hardy was born in Wetwang, East Riding, Yorkshire, England in 1446. He had a son named Richard. This son, Sir Richard Hardy, was born in the same town in 1467. He had a son named John. This son, John de Hardy was born in the same town in 1489. He married Margaret Pole and had a son with her named John. This son, John Hardy, was born in Wetwang, East Riding, Yorkshire around 1510. He married Mary Stanley and had the following issue with her: George, Thomas, Joan (Clarke), Mary, Michael, John, Jacquerra, William, and Richard. His son, Michael Hardy, was born in the same English town in 1530. He married Allison Skelton, and had the following issue with her: John, Helen (Kirby), Anne (Crosse), Richard, and Michael. His son, Richard Hard of Hounslow House, was born in Wetwang, East Riding, Yorkshire in 1477. He married Alice Wilson and had the following children with her: Alice Elizabeth, George, Mary, John, Jacquette, and Michael. His son John Hardy was born in East Riding around 1613. He married Alice Tucker and Olive Council. He went to colonial America in 1647. Prior to his 1677 in Isle of Wight County, Virginia, he had the following children: George, Olive (Pitt), Richard, Lucy (Council), and Debora. His son, Captain George Hardy, was born in Bedfordshire, England in 1633. He married Mary Jackson and had three issue with her: Mary, Sarah Anne (Pitts), and Thomas. According to Wikitree, he “inherited Hardy Mill and large estates in the Isle of Wight and Surry Counties from his uncle George Hardy, was a liberal supporter of the Established Church”. His son, Thomas Hardy, was born in Isle of Wight, Virginia in 1670. He married Mary Peter and had two issue with her: Richard I and Thomas. His son, Richard I, was born in 1702 in Virginia. He married Mary Chambers and had two issue: Sarah and Richard II. His son, Richard II, was born in 1725. He married Marcella Davis and had the following issue with her: George, Hawkins, Nancy, Sarah, Thomas, William, and Samuel. George Henry Hardy was born in France in 1829. He was the son of Anton Hardte and Eva Elizabeth Herr. He came to America aboard the Mary in 1830, settling in Delaware with his parents and older brother Michael. He married Elizabeth Gunther in 1848 and had issue with her as follows, prior to his 1900 death in Amherst, Erie, New York: Eva (Becker), Henry Hardy, Elizabeth (Stahl), Philip Hardy, Christiana, Michael H., and Catharine (Groll). Henry Hardie, son of Robert and Helen, was born in Laurieston, Stirlingshire, Scotland around 1774. He married Agnes McKinley and had the following children with her: Helen (Jenkins), John, Susan (Gibb), Robert, and Agnes. His daughter Helen Hardue was born in Falkirk in 1795 and married John Jenkinks II, Having five issue with her. According to HardyFamilyHistory, “It was during these troubled times [on the Plantation of Ulster] that John Stanhope (1608-1675) fled from Ireland back to his family seat at Horsforth, Leeds, bringing with him his loyal Irish servant, Thomas Hardy… Thomas Hard settled in Horsforth, Leeds, establishing the family line; he was buried on 6th March 1683”. 2) John Hardy of Salem, a freeman in 1634, brought his son Joseph from England, had son named John. Had a grant of land in 1636 and was a selectman in 1647. He had a daughter named Elizabeth who married Roger Hasell. 3) Richard Hardy of Concord, 1669. He may be the man, who, at Stamford, married Ann Huested, had Mary, Samuel, Elizabeth, Susanna, Sarah, Ruth, and Mary. 4) Samuel Hard of Beverley, 1686, was town clerk in 1674. In 1676, he married Mary, daughter of Samuel Dudley, had children named Robert, Mary, Theophilus, and Elizabeth. 5) Thomas of Hardy of Ipswich, one of 12 who made the settlement in 1633, had children named Thomas, John, Joseph, Jacob, William, Mary, and another daughter who married Samuel Currier of Haverhill, moved to Rowley about 1653, died in 1678 at the age of 72. He might have been the brother of John. Other settlers in colonial America bearing this surname include Nicholas Hardy (Maryland 1633), Richard Hardy (New England 1639), Thomas Hardy (Virginia 1642), and Marie Hardy (Louisiana 1719). In Canada, some of the earliest settlers with this last name include Pierre Hardy (Montreal 1653), Jean Hardy (married Marie Paire in Quebec in 1669), Michael Hardy (Quebec 1722), Jean Baptiste Louis Hardy (Quebec 1736), Josiah Hard (Halifax 1750), Joseph Hardly (Quebec 1759), and Aaron Hardy (Nova Scotia 1760). In Australia, one of the first settlers with this name was Thomas Hardy, a convict from Derby, England who came in 1826 aboard the Andromeda, settling in Van Diemen’s Land (present day Tasmania). In 1829, William Hardy, a convict from Middlesex, England came to New South Wales in 1829 aboard the America. In 1861, Peter and Mary Hardy came to the city of Auckland, New Zealand who came aboard the Black Eagle in 1861. In 1864, Jane Hardy came to Wellington aboard the Nimroud. 1) Sable on a chevron bet 3 escallops or 3 dragons’ heads erased [sable] Crest: a mailed arm embow, holding a dragon’s head of the field. (Bookplate Sir Charles Hardy, Colonial Governor of New York). Matthew’s American Armoury and Bluebook (1907) and Crozier’s General Armory (1904) do not contains any entries for this last name. 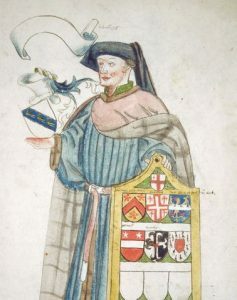 We have 13 coats of arms for the Hardy surname depicted here. These 13 blazons are from Bernard Burke’s book The General Armory of England, Ireland, and Scotland, which was published in 1848. The bottom of this page contains the blazons, and in many instances contains some historical, geographical, and genealogical about where coat of arms was found and who bore it. There are hundreds of notable people with the Hardy surname. This page will mention a handful. Famous people with this last name include: 1) Alexander Merrill Hardy (1847-1927) who was a member of the U.S. House of Repetitive for Indiana, 2) Arthur Charles Hardy (1872-1962) who was a Senator for Leeds, Ontario, Canada from 1922-1962, 3) William H. Hardy (1837-1917) who was the founder of several cities in Mississippi, including Hattiesburg, being born in Alabama, 4) Captain Temple Hardy (1765-1814) who was an English naval office who was in the Battle of Muizenberg during the French Revolutionary Wars, born in London, 5) Rufus Hardy (1855-1943) who was a member of the U.S. House of Representatives from Texas between 1907-1923, 6) John Hardy (1835-1913) who was a U.S. Representative from New York who served between 1881-1885, having been born in Scotland, 7) James Fred Hardy (1923) who was a football quarterback in the NFL from 1946-1952, having played for the Los Angeles Rams, Chicago Cardinals, and Detroit Lions, 8) Jean Hardy (1762-1802) was a French General who commanded a division during the French Revolutionary Wars, 9) James Greene Hardy (1795-1856) who was the 15th Lieutenant Governor of Kentucky, born in Virginia, and 10) Admiral Sir Charles Hardy (1714-1780) who was an officer in the Royal Navy and also held a seat in the House of Commons from 1764-1780, as well as serving as colonial governor of New York from 1755 to 1757. The escallop occurs often in arms, represented as the outside of the shell, sometimes “fluted” of a different colour. It has been part of heraldic tradition almost from the beginning of the art, Henry III of England awarded Gules, 3 escallopes argent to Herbert de CHAMBERLEYNE in the 13th century, and it is present in the heraldry of almost all countries. It is believed that they were adopted as badges (pinned on clothes) of those going to the Holy Land on pilgrimage and can be found in the arms of many a crusading family. It is said the pilgrim would be provided food and water by local churches and castles if the bore the escallop. Hence Wade’s suggested association of the scallop with those that “complete long journeys to far countries”. This symbol is long journeys can also be a symbol of hospitality. It should also be noted the escallop is a symbol of Apostle St. James the Greater. According to The Road to Santiago: “Having been a fisherman in Galilea and having taken the road that helped him discover his spirit, the Scallop Shell is the emblem of St. James and its symbolism relates to two layers of the human condition; the physical and the spiritual. St. James was an ordinary pilgrim like the rest of us. He walked a long difficult road with Jesus; he was imprisoned by his raging emotions, and he went through metaphoric fires to free himself and discover the vastness of his spirit. He learned how to live an authentic, peaceful life and he shared his personal lessons with others”. Dragons have a long history in Heraldry and indeed have come to symbolize entire countries. Originally, they were perhaps based on garbled descriptions of crocodiles given by returning travelers but soon developed a widely accepted representation. Wade suggests that their appearance signifies “a most valiant defender of treasure”, a trait of dragons that we are still familiar with today. A dragon conveys a sense of protection, as in mythology, dragons often protected or guarded caves. Two dragons are found as the supporters of the coat of arms of the city of London. It is also a popular symbol in China. It is interesting to note that the term Pendragon (popularized in Arthurian legend) was an old medieval Welsh or British title (from the word pen, meaning head/chief/top, and draig, meaning dragon or warrior, from the Latin draco) for a prince of chief. Blackdrago.com offers a great breakdown of the different types of dragons in heraldry, such as wyverns, hydras, and drakes.